According to a research 2BHK homes are most preferred by home buyers in Chennai. The property market of Chennai witnessed a healthy demand for mid range properties. PropIndex (Apr-Jun 2015), an India Apartment Index by Magicbricks, indicated 2BHK configuration as the dominant consumer preference among buyers looking within the 30 to 50 lakh price bracket. This configuration accounted for 53 percent share while the 3BHK segment accounted for 37 percent share. South Chennai localities were preferred by buyers for 2BHK units. 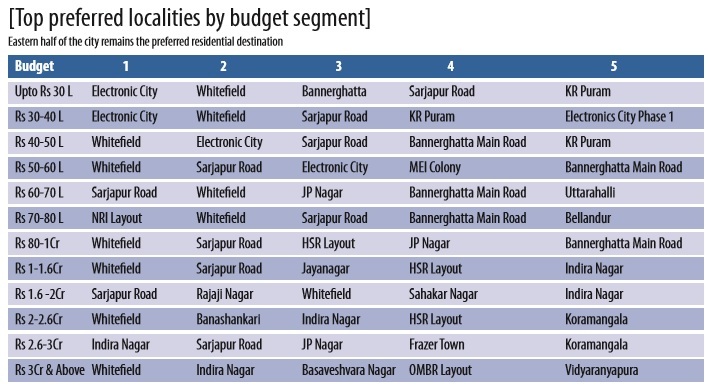 The table indicates the preferred localities for the 2BHK category and budget segments. “Developers also seem to have realised this trend. This explains the considerable overall supply across the city with 52 percent increase in active listings. Areas such as Medavakkam, Porur and Velachery offer over 90 projects offering 2BHK units. Some are ready-to-move-in apartments with possession in the years 2015 and 2016, while others still under-construction,” adds Dutt. Medavakkam is a residential locality in South Chennai, surrounded by Velachery in the North, Old Mahabalipuram Road (OMR) in the South and Grand Southern Trunk (GST) Road in the South-West. 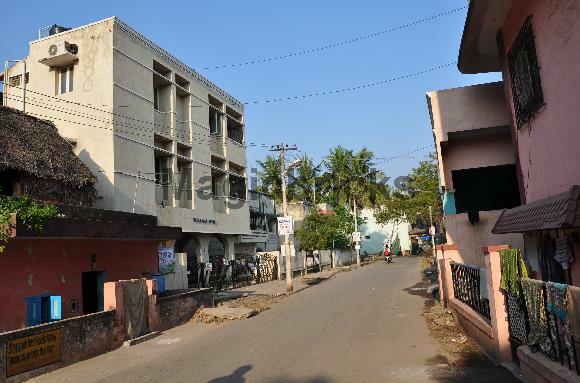 This locality is a residentially preferred area due to its access to good educational institutions and connectivity Metropolitan Transport Corporation has well connected routes to all major landmarks in and around Medavakkam Pallavaram-Thuraipakkam Road and the Velachery-Tambaram Road make the routes much simpler. Through this route, the Chromepet Railway Station is at 10 km and the International Airport at 13 km via the Medavakkam main road. Porur is one of the developing suburbs of Chennai and is renowned for its manufacturing plants and chemical industries The area is fast becoming an IT hub and houses various companies such as IBM, Barclays, L&T, iGate, HCL, Logica, Dell, among others Porur is well-connected with Chennai city and other neighbouring suburbs through roads and frequent bus services. The Chennai International Airport is 12 km away and the area is also positioned strategically at the key junction of Mount-Poonamallee Road, Arcot Road and the Chennai Bypass Road. Located in South Chennai, Velachery is one of the most demanded localities in the city. It has been declared as the most preferred locality in Chennai by PropIndex (Apr Jun 2015), an India Apartment Index by Magicbricks. 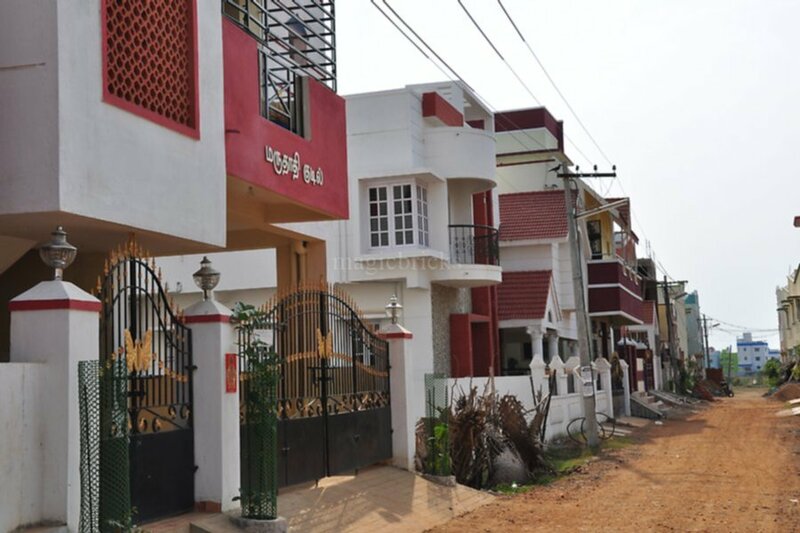 The availability of wide residential options, presence of different housing configurations, upcoming new properties and an existing developed infrastructure are some reasons behind its popularity “Velachery is situated close to localities such as Taramani, Adambakkam, Thiruvanmiyur, Guindy, Adyar, Thara mani and Madippakkam, yet it has a lot of greenery and planned roads, as compared to these areas. Also, most of the upcoming projects are re-developed constructions of large sites, origi nally inhabited by middle-class pe ple, who today, are aiming at getting regular income,” says R Arun, a real estate broker Improving road infrastructure, good quality apartments by renowned developers along with proximity to the Rajiv Gandhi IT Expressway is keeping the real estate market ticking here The locality is connected to almost all major parts of the city via the MRTS rail network with a station in Velachery itself. There are many advantages of townships which are attracts both buyers and developers alike. Housing in Chennai was traditionally limited to independent houses. However, in the early 70’s certain residential areas like Egmore, Kilpauk and Nandanam saw the arrival of a new concept of residential housing apartment buildings. Since then, the city’s housing sector has evolved and moved from independent houses and apartments to gated communities and integrated townships. In fact, township living has become a very desirable concept in Chennai today. Township living is community living within a larger, better-utilised land area, with amenities and facilities that make it self-contained or self-sufficient. As land within a metropolitan city becomes scarce and expensive, residential developers with the financial wherewithal to launch townships scout for large land parcels on the suburban areas of the city where the cost of land is much cheaper than in the city interiors. Once such a land parcel is identified, a developer will get an architect and often urban planning experts to design an integrated township to be built on it. An integrated township project could comprise of residential plots, row houses, villas as well as low-rise and high rise apartments. However, it does not end with developing residential spaces. To attract home buyers to invest and live in these projects, it is imperative that physical and social infrastructure is also in place. The physical infrastructure of an integrated township is partly developed partly by the developer (who will provide internal roads, lighting, open spaces, landscaping, etc.) and partly by the government (which will provide externally connecting roads, water and electricity supply, sewerage connections, etc.) Social infrastructure like schools and colleges, hospitals, malls and other shopping areas, clubs and multiplexes also influences homebuyer’s decisions. Likewise, proximity to office hubs is important, because buyers who are willing to invest extra to live in a township will expect this convenience. Township developers who wish to see their projects succeed must ensure that they get all these variables right both in terms of the location of their projects and in providing shopping, healthcare, schools and high-grade office buildings which will attract corporate occupiers. To provide the expected lifestyle embellishments to their buyers, township developers will also include recreational areas like club house, gymnasiums, swimming pool, game rooms and utility areas like convenience stores, ATMs, laundry, party halls and coffee shops. The inherent advantages of moving into a residential township are: More housing choices in a large-scale development Better infrastructure Professional asset management Cosmopolitan living environment higher investment value. The last factor is an important consideration for those who view their properties as performing assets. Chennai attracts a sizable migrant population in sectors like IT ITES from other metropolitan cities of India. The trend among those seeking rental accommodations in residential townships as opposed to stand-alone residential buildings is seeing a quantum leap. The main reasons for this are the additional safety, convenience and lifestyle factor offered by large scale community living. From the owner’s perspective, the asset is professionally managed and maintained, thereby attracting better rental yield and capital appreciation. Although the capital values or price points of township projects may be marginally higher than in standalone residential projects, the amenities and lifestyle conveniences offered more than make up for the incremental cost. Locations in Chennai which are rapidly developing as township catchments are the OMR and surroundings in the South, Anna Nagar in the West, and Perambur in North Chennai. The success of the township living concept in Chennai has attracted leading national developers to develop township projects on the peripheries of the city. These projects are being developed in a phased manner, keeping pace with the changing dynamics of home buyer’s preference in terms of size and specifications. Chennai Corporation has strengthened its e-payment system of property tax payment through its website www.chennaicorporation.gov.in with introduction of multiple payment gateways. In addition to the payment gateway managed by ICICI bank so far, the civic body roped in HDFC Bank last week. “More property tax assessees will be able to pay tax without payment of any transaction fee using multiple gateways,” said an official. Customers of 42 banks including those in the public and private sectors will be able to make payment through the two payment gateways now and subsequently more. 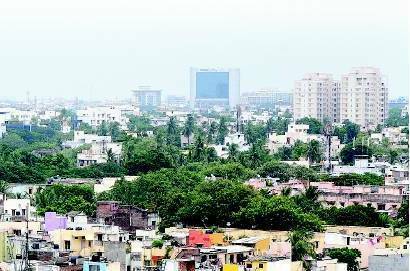 At least 16 per cent of the property tax assessees paid tax through Chennai Corporation website last year, sources said. With the strengthening of the system, the number of assessees is expected to increase this year. Two more banks — IndusInd bank and IDBI bank — will also enable payment gateways shortly. The civic body has stopped the services of the vendor managing the e-payment gateway to reduce burden on residents. The vendor was collecting 1.75 percent transaction fee from each of the assessees. Work on enabling multiple payment gateways is also expected to facilitate tax payment by NRIs who own commercial and residential properties in Chennai. Corporation’s online system of property tax collection has frequently been disrupted in the past few years. Several residents who had been trying to remit tax had registered complaints with the civic body. Online payment could be made by submitting zone number, division number, bill number and sub number online. The growing start-up culture in India is changing the dynamics of entrepreneurship. Many employees are leaving high packages and top-notch positions to start their own ventures. This move is also making a sginificant impact on the real estate market of the country. If we make a quick scan across India, we can easily conclude Bengaluru – the ‘Silicon Valley’ of the country to be the preferred city of start-ups. The impact of which is reflected in the real estate sector. As more and more companies with funding from venture capitalists, are foraying to Bengaluru, properties prices in the city are steadily increasing since the year 2012. According to PropIndex (April-June 2015), the India Apartment Index by Magicbricks, more than 70 per cent localities in Bengaluru posted an increase in average capital values. The supply of residential units also saw an increase. Overall, the Bengaluru City Index registered a maximum appreciation of 6 per cent. Take a look at the graph below from PropIndex. The PropIndex data also indicates that it is one of the preferred localites. The area as we all know offers good connectivity through roads and highways. Apart from Bengaluru, Coimbatore is fast becoming a place for start-up hubs. The city is developing and experiencing an upswing trend. Although Coimbatore is known for its textile industry, many young professionals are changing the face of the city by launching several start-ups and employing professionals. The realty industry is picking up. 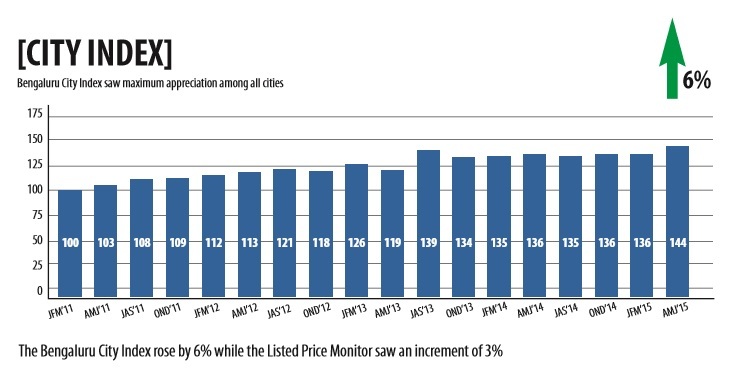 “Areas like Gandhipuram initially had no takers but now it is luring people which has led to a price increase by 25 per cent,” says Ashish Kanth of Yogya Prop. Therefore, if you are planning on an investment in these two cities, then you are in luck. These are favourable times to invest here. With the growth in the number of start-ups and influx of people for job opportunities, your investment will appreciate in the coming years and bring in lucrative rental returns.